Screenshot/ABC NewsThe 10-month-old puppy that died on a United flight after being placed in an overhead bin. 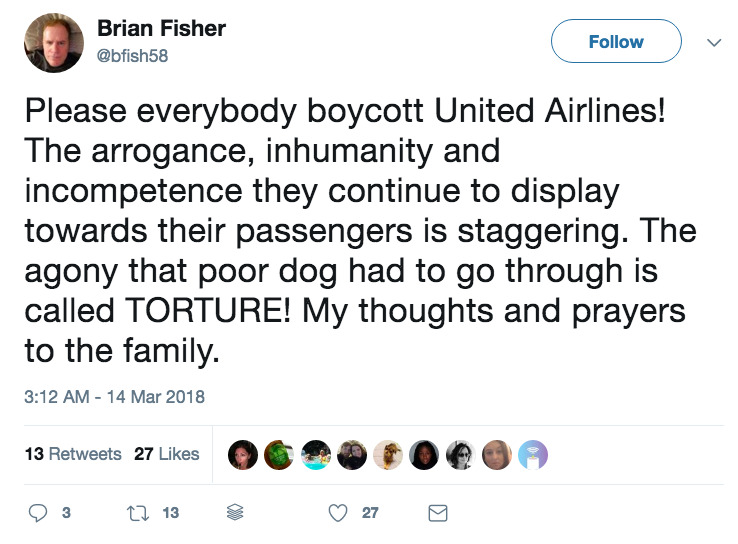 United Airlines is coming under fire after claims that a flight attendant forced a family to put their 10-month-old puppy in an overhead bin, where it died. 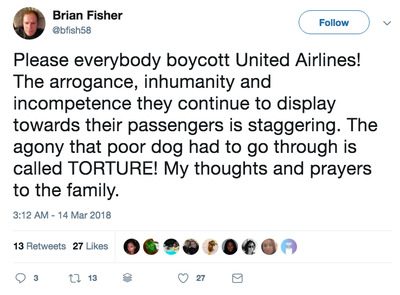 Owners of the puppy told ABC News that they told the United flight attendant there was a puppy in their soft kennel bag twice before they were forced to stow it in the overhead compartment. 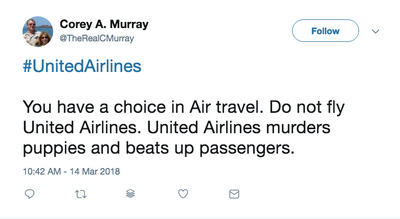 United Airlines apologised for the incident and said it was taking full responsibility. 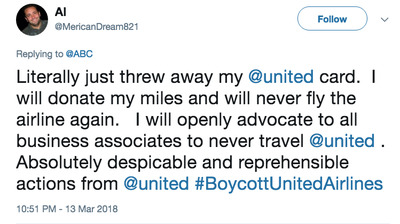 There’s now a growing backlash against the airline, and some consumers are even calling for a boycott. 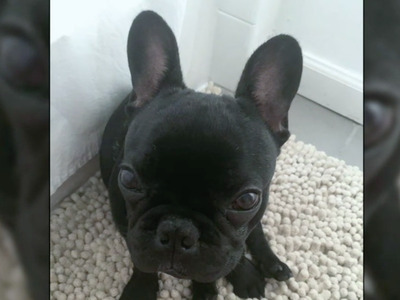 The owners of the 10-month-old French bulldog puppy that died on a United Airlines flight after an employee forced them to put the dog in an overhead bin are speaking out. Catalina Robledo and her daughter Sophia Ceballos told ABC News that they were forced to remove the soft kennel bag holding their dog from the seat in front of them and put it in the overhead bin before the flight took off. The owners say they told the flight attendant twice that they had a dog inside the bag before they were forced to stow the bag in the overhead compartment. 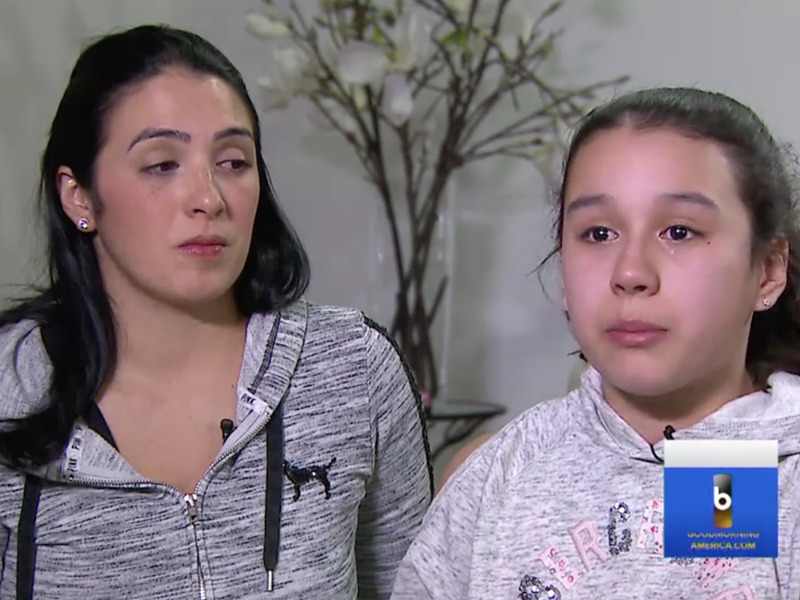 Screenshot/ABC NewsCatalina Robledo and her daughter Sophia Ceballos are the owners of the puppy that died on the United flight. “We were going to put him under the seat, and then the flight attendants came and she said you have to put him up there because it’s going to block the path. And we were like, ‘It’s a dog, it’s a dog!’ And she’s like, ‘It doesn’t matter you still have to put it up there.’ And she helped her put it up and just closed it like it was a baggage,” Sophia said. According to the family and fellow passengers, the dog barked softly during the first part of the flight, but then the whimpers stopped. The family was unable to check on the dog because of heavy turbulence, according to the report. The family was travelling on United Flight 1284 from Houston Intercontinental to New York LaGuardia, which lasted about three hours. Once the plane landed and it was discovered that the dog was not breathing, Robledo tried mouth-to-mouth resuscitation on the puppy. Maggie Gremminger, a fellow passenger, shared the disturbing details about the incident on her Facebook page. “By the end of the flight, the dog was dead. The woman, crying in the aeroplane aisle on the floor,” Gremminger said. The airline said in a statement to Business Insider that the incident should have never happened. 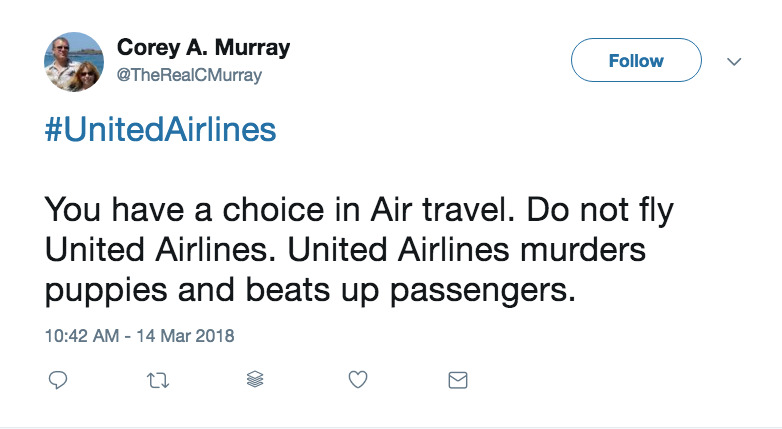 The airline is now facing outrage over the incident, and some people are even calling for a boycott. 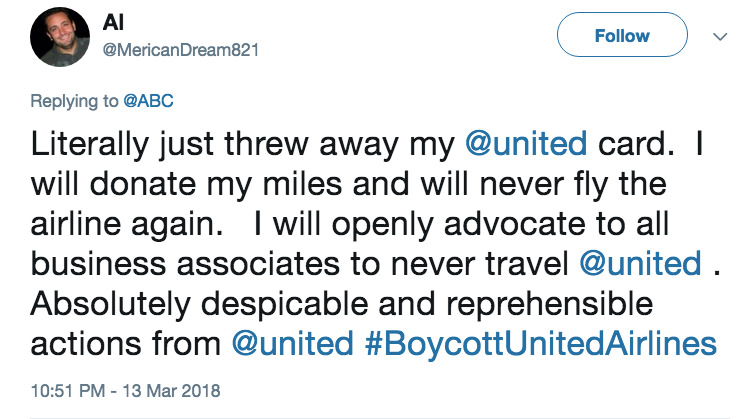 United has faced a string of unfortunate incidents during the past year. The airline came under fire in April after airport security was recorded violently dragging a 69-year-old passenger off one of its planes, and in May a 3-foot rabbit named Simon was found dead after a United flight.